Come on over and follow me on Facebook. Are you looking to make a move to the town of Durham or Hanover Ontario -- or maybe one of the other smaller towns or villages across Grey and Bruce County? This area provides families with children a small-town lifestyle with excellent schools and plenty of activities. 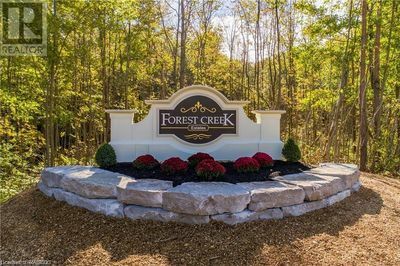 Most of these communities across Grey Bruce are located within a short drive from the larger cities of London, Kitchener / Waterloo and Toronto. This area has way of stimulating the senses because of the abundance of recreational activities that exist. As your Sales Representative with Wilfred McIntee Real Estate Brokerage Glen Reay will help you find that perfect home or farm whether it is in Durham or Hanover or anywhere in Grey Bruce. It is an ideal and more affordable alternative to a luxury 4-season lifestyle without the price tag. Additionally, when you purchase your next Durham or Hanover real estate property through Glen Reay, you will be able to rekindle those lazy Sunday afternoons or enjoy a ride through the beautiful Grey Bruce countryside. When you partner with to sell your Grey Bruce County property, you have the advantage of being exposed to a more traditional real estate marketing that you don't get when selling your home by yourself or with another real estate agent in the area. Glen will list your property on his heavily trafficked web site and will work side by side with you throughout the entire process. People who are searching online for a home that is similar to yours will be able to see its description, view video and a number of high quality photos. Basically, you will be able to sell your home or farm quickly and easily with a minimum amount of hassle when you work with Glen Reay.